This disclosure was made by Deputy Premier and Representative of the Seventh District, Dr the Honourable Kedrick D. Pickering during a joint community meeting between the 7th and 8th Districts at the East End/Long Look Community Centre on February 13, 2013. “The Government wants to develop Brandy Wine Bay Beach so that Brandy Wine Beach becomes a major entertainment centre,” said Hon Pickering. 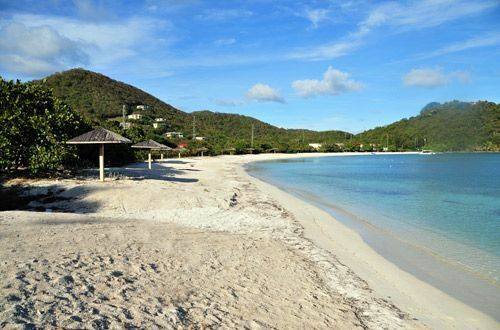 This developmental project would entail the removing of the existing road which is deemed absolutely necessary if any major development is to take place at Brandy Wine Bay. Hon. Pickering said the road is too close to the beach and would not auger well if there is to be any major development. “If we are going to enhance the beach we are going to put concession stands, we are going to create entertainment areas.” It would also make provisions for the creation of a theatre. The Deputy Premier and Minister for Natural Resources and Labour said that there are two impediments to doing anything at Brandy Wine Bay, one being that families that own lands close to the beach had outstanding claims against the government for portions of lands between the road and the beach that still belong to them since the government has taken over and not compensated. “So we’ve been waiting diligently to have that resolved,” said the Deputy Premier. There are reportedly approximately five families in this claim and that two are already in receipt of their payments. “There are some family issues with the others so we’ll put the money in escrow and leave it until we can get those families to give them the cheque but that wouldn’t stop the project,” he noted. The other issue, Hon. Pickering said, has to do with the location of where the new road will be and to-date there are two proposals on the table that were designed by the experts of the Survey Department. Hon. Pickering also re-tabled the proposal for the erecting of a monument in the Long Look/East End Park which is currently under Construction. He told the gathering that the idea was to have the monument erected in honour of Mr. Christopher Flemming to showcase some of the historical significance that he represented. Flemming is a historical figure often remembered for standing up to authority. He was believed to have been a long time resident of the Long Look area and lived from 1851-1935. The second proposal was for the painting of pictures of four significant other persons on a recently constructed and painted wall in the community, one of the late T. B. Lettsome, one of the late Leslie Malone, the late Moses Stephens and the other of Mr Ivan Lettsome. “Each of those four persons would have played vital roles in the community,” said Hon Pickering. The proposal also entails the placing of plaques on the wall, which will tell the story from slavery coming forward to present. It is anticipated that a similar project will be extended to the Josiah’s Bay community. The opening up of one of the reefs in the community was seen as a major step in the developmental process for the two districts. “We are also in the process of conducting the major environmental assessment that is necessary... That is critical to any dredging that has to take place and the development of the fishermen’s dock at Red Bay,” said Hon Pickering. He further admitted that has been the need for water rationing water, which has recently increased. Hon. Vanterpool said as recent as Tuesday February 12, 2013 a broken motor at the Baugher’s Bay plant was replaced. “Hopefully during this week we are expecting to refill the plant at Fort Hill and pump more water up to the Sabbath Hill reservoir to be able to provide more water on Ridge Road,” said Hon. Vanterpool. He made it very clear that the water supply would not be on a daily basis immediately because they are looking at the production of water at the Baugher’s Bay plant to be at a higher level over the next several months in order to fill the reservoirs on a more consistent basis in the Town areas, up the hills and over to Cane Garden Bay and Ridge Road. Hon. Penn also alluded to a number of road works which were done to most of the secondary roads in the community. “That has been a concern to a lot of our residents too.” He added that due to limited resources they were unable to pave as many roads as they would have desired. He publicly thanked a number of contractors who proved to be corporate citizens by giving free services towards the fixing of some of the secondary roads in the community. Among those that attended the meeting were Premier Dr the Honourable D. Orlando Smith OBE, Minister for Education and Culture Hon. Myron V. Walwyn, Minister for Health and Social Development Hon. Ronnie W. Skelton and Territorial At-Large Representative Hon. Archibald C. Christian. Deputy Premier and Representative of the 7th District Dr the Honourable Kedrick D. Pickering and 8th District Representative Hon Marlon A. Penn have both alluded to plans to develop the Brandy Wine Bay Beach to transform it into a major entertainment centre. 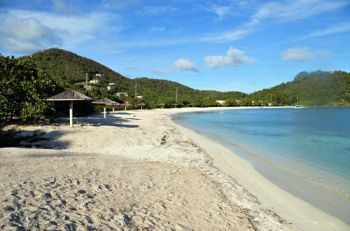 This proposal would necessitate relocating the road which currently runs parallel to the Brandy Wine Bay beach. Hon. Pickering said that currently two proposals are on the table that were submitted by government experts. This was announced at the joint meeting called by the 7th and 8th District. Representatives at the East End/Long Look Community Centre this evening, February 13, 2013. Hon. Pickering has also proposed the erecting of a Monument for the Late Christopher Flemming. He has also proposed the painting of pictures of four significant persons in the history of the Nothingham Estate, Long Look. The plan is to keep the rich history of Nothingham Estate alive and to educate the un-learned of the significance of the history. 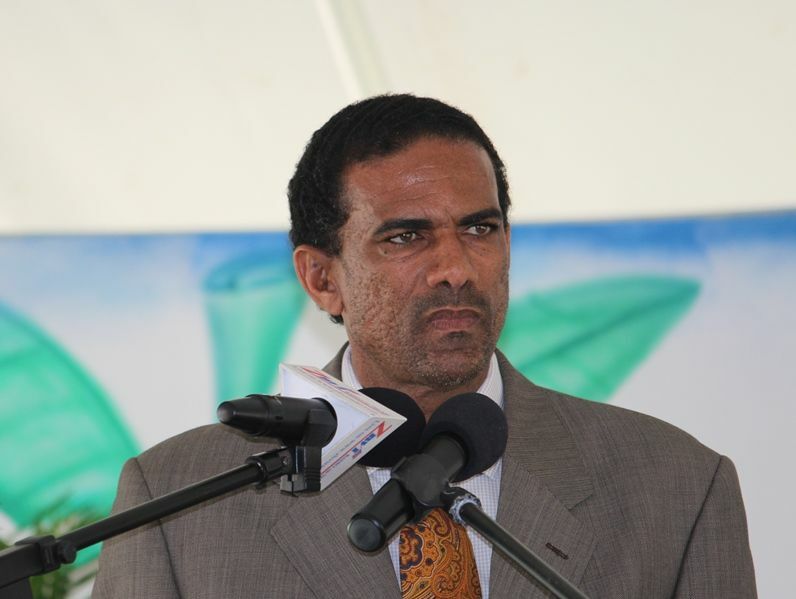 Minister for Communications and Works Hon Mark H. Vanterpool admitted that there is a very serious water shortage in the Territory and thus the need for water rationing. He also promised that there should be an improvement in the supply of water by next week. Among those attending the community meeting were Premier Dr the Honourable D. Orlando Smith OBE, Minister for Education and Culture Hon. Myron V. Walwyn, and At-Large Representative Hon. Archibald C. Christian. Hon. Pickering also announced that March 1 will be first National Fisherman's Day. A fair number of persons also attended the meeting. FLemming would be a good subject of a story for the newspaper (then and now- or who are they? segment). Maybe a plaque would be educational because text could describe who he was, but more monuments are going to overrun the place eventually. As for "entertainment centre", is that where the ferris wheel going to go? Who are the "experts" who suggested moving road? there are houses across the street. And why are we always looking for entertainment areas? Visitors make their own entertainment. dumping sand over sea grass wasn't so swift either. Again, the essence of democracy is CHOICE !. Stop erecting statues and graving images of people that is going backwards to pagan days and can have bad results and bring on the wrath and punishment of the Creator on this country mr. pickering read your holy book. as for the land pay what the land is worth deal fairly with the people do not wrong them and take one day at a time as well as one project to much being done one time slow down before the country ends up going under. buying land is premature without checking the plans and asking the people. I agree- too much going on. Unfortunately, here again is a plan that seems to be moving forward based on 2 "experts" without the public understanding what is going to happen as an entertainment centre. Only a handful of people who attended the meeting heard that. What does it mean to that area and what is going to happen? Why do we have to find ways of "entertaining" instead of just "being".? I think this is another stab at trying to impress the world of cruise ships instead of taking care of local business first.